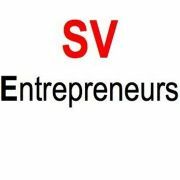 SVIEF.org will host a large entrepreneur event. Do you want to expand your business into China? Are you interested in targeting your business toward the BIG and Ever-Growing Chinese Market? If you are a start up entrepreneur, either struggling for funding or looking for the new growth opportunities, you should definitely join the event’s Start-up Contest below. It provides unparalleled opportunities to connect you with the first-class Chinese business and profession community and grow your bond with the vibrant China Market and Economy in a way you may never expect. Hurry Up !!! The contest “Win in Suzhou”, titled after the leading sponsor Suzhou People’s Government, is a core program of 2011 SVIEF. It aims at establishing a highly-integrated servicing platform to inter-connect entrepreneur talents and their start-up projects in progress, mainly in high-tech area, with venture capital, high-tech industrial park, local government and various financing and marketplace resources in both U.S. and China. We anticipate accepting more than 300 project entries into the contest. The contest committee and judge panel are made up of members of Suzhou People’s Government, leading scholars in hi-tech area, first-class venture capitalists, angel investors and PE fund investors, and well-known private sector entrepreneur and business leaders in U.S. and China. After all entries being-reviewed, top 20 most innovative projects will be selected to compete for the top five places in the final contest, which will take place on October 22, 2011. This contest program is fully supported by China Torch IT Services InnovationAlliance, affiliated with Ministry of Science and Technology of the People’s Republic of China (MOST). All participating projects will be introduced to Torch Innovation Foundation. The winning projects will be recommended to MOST’s Torch Innovation Foundation. All participating projects will be introduced to high-tech industrial parks of Suzhou and other cities. Free services of assisting each project to apply for funding from these industrial parks will be provided. The contest committee will invite more than 20 private-sector entrepreneurs to attend the final contest and hold private interview with contestants of winning projects to explore funding opportunities. Please go to the website http://www.svief.org/english/StartupContest.php to submit your application. Use sventrepreneurs as promotion code to register.